Mr. Smith mediates civil cases in state and federal courts in Kansas and Missouri. 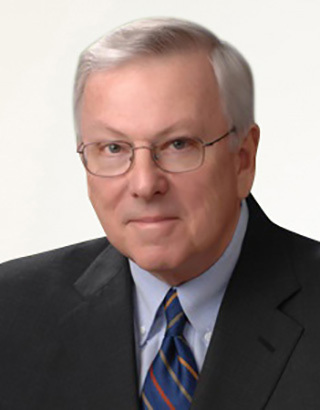 He has more than 40 years of litigation experience in state and federal courts. Smith has been recognized since 1991 as one of the Best Lawyers in America in the area of personal injury litigation. He also has certifications in mediation in the following: Kansas Supreme Court Approved in Core Mediation and Civil Mediation; Missouri Rule 17 of Dispute Resolution Neutrals.